We’re Geared up for your Waterjet requirements. A customer ordered this stainless steel 99-1/2” OD load plate made of 1-1/4” thick 304L cut on one of our four (4) Abrasive Waterjet Machines. 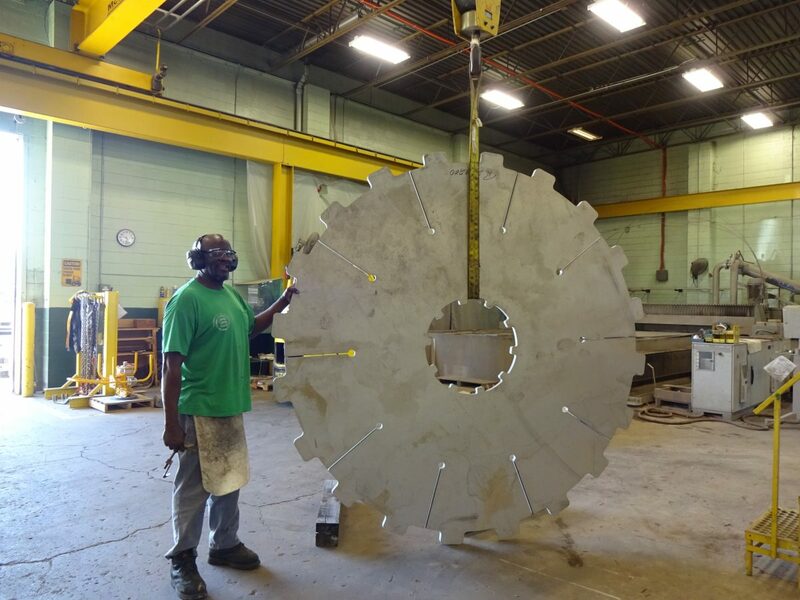 Sandmeyer has plates wide enough to provide this load plate in one piece and Abrasive Waterjets that can cut plates up to 120” wide.